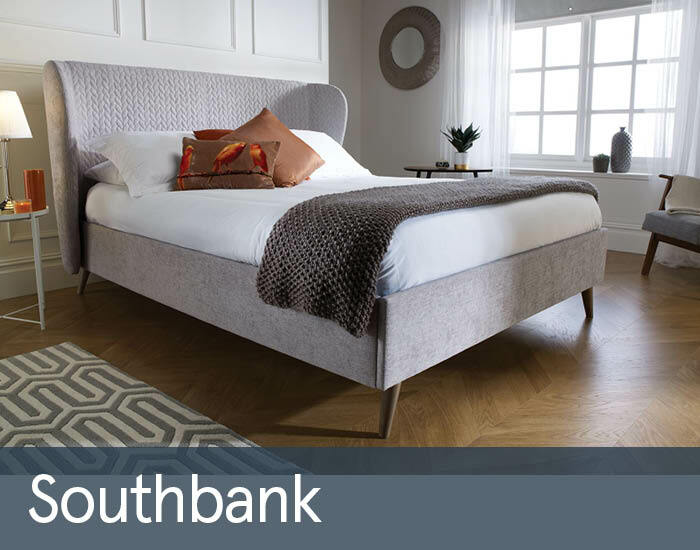 Southbank bed frame was manufactured using traditional methods, which results in a product of genuine quality. All wood used is carefully selected from some of the finest managed sources in Europe. For customers comfort, slats are pre-assembled. The frame is made of powder coated steel, with sprung beech wood slats and has a central support rail for added stability. Solid wooden feet could be ordered in a choice of coloured finishes.